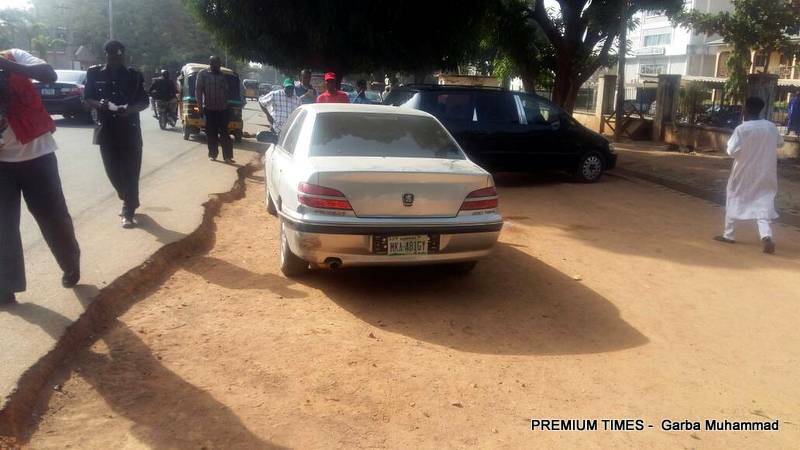 A journalist working with the Nigerian Television Authority, NTA, in Kaduna on Thursday rammed into a group of security operatives deployed to curtail the ongoing protest by organised labour in Kaduna, injuring one Police officer. The journalist, Hajia Ummul Kairi, who was driving a Peugeot 307 lost control and ran into security officers who included Soldiers and Policemen, damaging a Police car in the process. The workers are protesting the proposed sack of over 21, 000 teachers, who recently failed a competency test set by the State Government. The State Governor, Nasir el-Rufa’i, despite serial protests and a court ruling, has insisted on carrying out the sack and has threatened to deal with any worker who takes part in the ongoing strike in the State. The journalist said she was ‘confused’ when she approached the area where the security operatives were manning and as she tried negotiating a bend to enter into the NTA premises close to Labour House, where the protest emanated from, she ran into the security team. 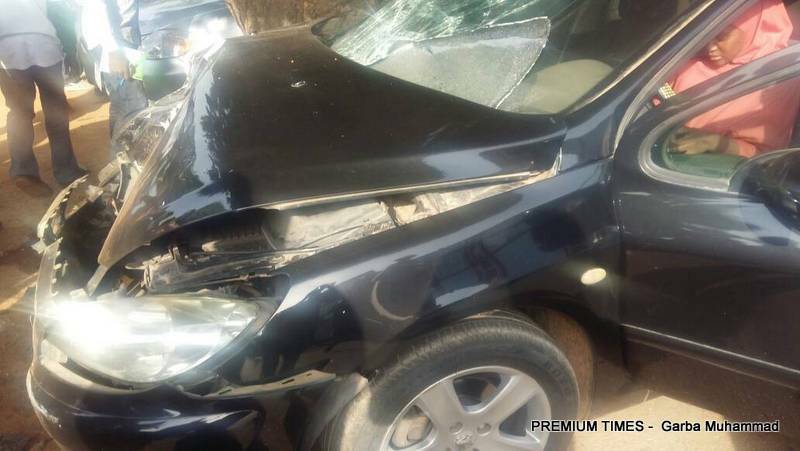 She also hit another Peugeot 406 belonging to a Leadership Hausa reporter. “They have towed my car and the Police vehicle involved in the accident,” she said, visibly shaken. The premises of the Federal Radio Corporation of Nigeria, FRCN and NTA Kaduna are located beside the Labour House, which is presently heavily guarded by armed security operatives. Meanwhile, the NLC president, Ayuba Wabba, has said the protesters would not be intimidated by the heavy security presence sent to curb their protest. “Anybody who thinks we cannot come out for the protest has malaria, and that malaria must be treated today,” Mr. Wabba said while addressing members inside the Labour House.